Nielsen and the social network teamed up to produce a global snapshot of messaging behaviors, and found that customers increasingly expect brands to engage with them in-app. 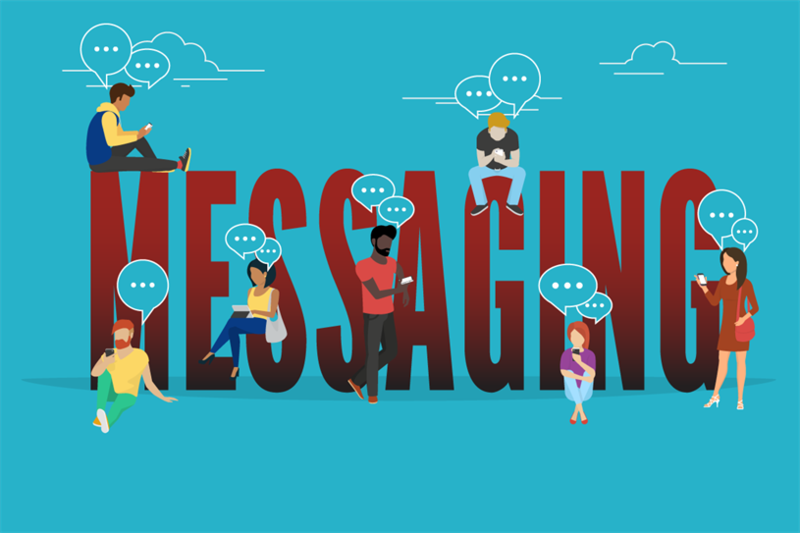 With the rise of mobile messaging apps like WhatsApp, Viber, and Line (and the concurrent decline of mobile apps), brands are rushing to establish a presence within the programs themselves. Over the past year, Disney, Taco Bell and Paypal are just some of the companies that have introduced chatbots designed to engage customers inside messaging apps. Now, a survey from Facebook IQ and Nielsen sheds light on how, and how much, consumers really want to message with brands. As it turns out, they’re not just eager to do so, they are increasingly expecting brands to make it happen. According to the "Facebook Messaging Survey," which is being released today, 53% of consumers say they are more likely to shop with a business they can message with, and 63% say they message with brands more today than they did two years ago. Asked how they use messaging apps to talk to brands, 39% said they ask questions or seek information; 33% inquire about store hours, location or inventory; 34% make or confirm an appointment; 33% make a purchase or place an order; 30% give feedback and 30% share photos of products. Overall, 57% of consumers say they message more today than they did two years ago, and 56% expect their messaging to increase over the next two years--perhaps not surprising given how much more prominent these apps are today than they were in 2014. But people don’t just rely on these apps, the survey found, they enjoy them: 76% say messaging has improved their lives, and 69% say messaging apps have made their lives easier. "Having this understanding can help marketers and businesses better inform how to reach consumers where they are spending their time, and to better meet their expectations for personalized experiences," said Asher Rapkin, lead for product marketing communications at Facebook. Nielsen surveyed 12,500 adults in July that had used a messaging app in the past 30 days. Respondents came from 14 markets around the world, including the US, Brazil, France, South Korea and Australia. Facebook commissioned the study to bring attention to the value of its own two messaging apps, WhatsApp and Messenger, which have one billion active monthly users each. More than over 18,000 chatbots have been launched on Messenger so far, said Rapkin, generating more than one billion messages between people and businesses every month. "Consumer desire to interact with businesses through messaging is a growing trend around the world," said Rapkin, "though some parts of the world are a bit ahead in terms of consumer behavior and intent." For example, the study found that in India, Brazil, United Arab Emirates, Mexico and Indonesia, more than 50% of people are most likely to message more than five people every day. Location also helps determine a user’s approach to messaging apps. In the US, for instance, people see messaging as convenient, economical and efficient, while people in India view messaging as more fun than economical or efficient. Still, convenience was the top association in each market. On average, 45% of people described it as convenient, 41% as economical, 39% as efficient and 35% as fun. Facebook, not surprisingly, thinks the upward trend in messaging will only continue. "We expect the volume of messages to increase due to these well conceived and effective bots and the value of 1:1 customer service interactions," said Rapkin. The survey also revealed some surprising age differences in the use of messaging apps. Millennials and Gen Xers lead the way in preferring to message over calling or emailing, but not by much. Whereas 65% of millennials and 65% of Gen Xers favor messaging, 63% of Baby Boomers would also choose to do the same. The Internet is rolling its eyes at Instagram's Snapchat "rip off"